This is Hanayama's Cast Medal, released in February of 2009 and designed by James Dalgety, the founder of Pentangle Puzzles. It was first introduced at the 2003 23rd IPP Design Competition, at the time by the name of St Mungo's Fish. 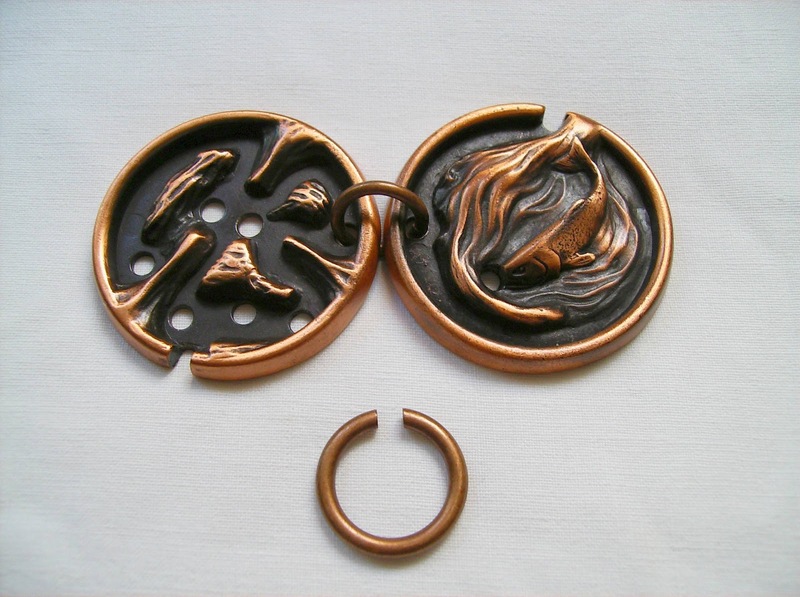 The Cast Medal is comprised by two medals that are linked together and a ring. Basically, you have to remove the ring, but to do that, you must work with the two medals at the same time. You start with the medal that has a salmon in a flowing river and a ring in its mouth (it's this ring that you have to free). Then, you must join the two medals, as if they were one, to allow the ring to get across the two paths and out. On the other medal there are six holes scattered between the "rocks" that will make your journey through the river, a little bit more complex. The challenge resembles the one found in the Cast L'œuf, because of its two different paths that must function as one and, although a bit more complicated, is plays like the classic Cast Plate, for its similar design with holes. 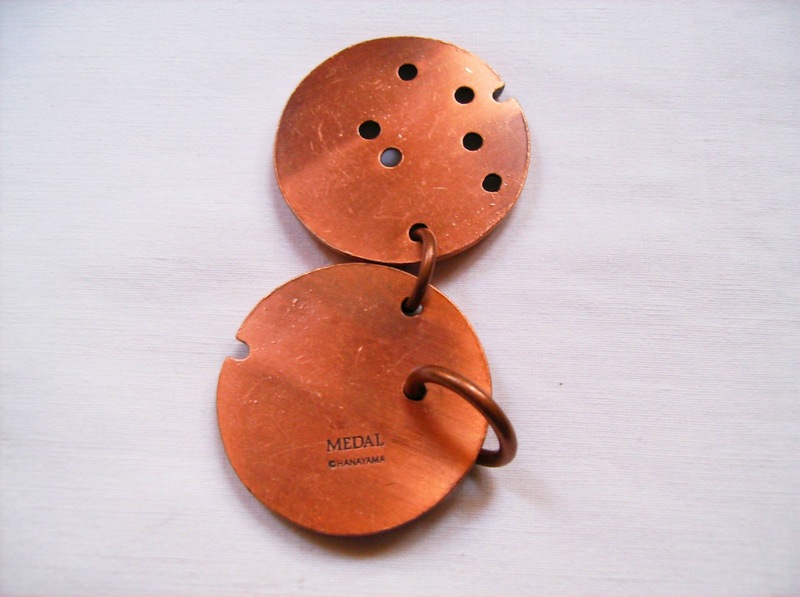 The puzzle is just a level 2 (out of 6), rated by Hanayama, but besides having a simple goal that shouldn't take too long to figure out, it may be still a bit tricky to get that ring out of the medals... And returning it to the starting point is also a challenge, because by the time you solve it, it's hard to remember the exact path you took to do it again without facing a dead-end first. I can't stress enough the fact that, design wise, Hanayama's puzzles are among the best looking you can find in the market right now. Each puzzle has its own identity and this one is no different. Metal is always used, but not the same type, making each one look different and have various colors. Have a look here and see for yourself. I liked the Cast Medal. Not a tough challenge, but an enjoyable one and given the fact that its concept is a bit similar to the Cast Plate, I loved the extra twist of having the two medals joined together to complicate your task. 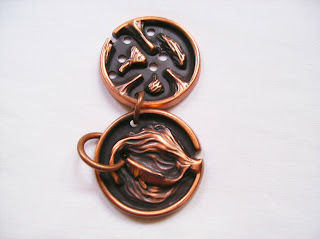 The Cast Medal is available at PuzzleMaster, as well as other Cast Puzzles. Hanayama's Cast Hook was the 3rd release of 2009 and was designed by Vesa Timonen. 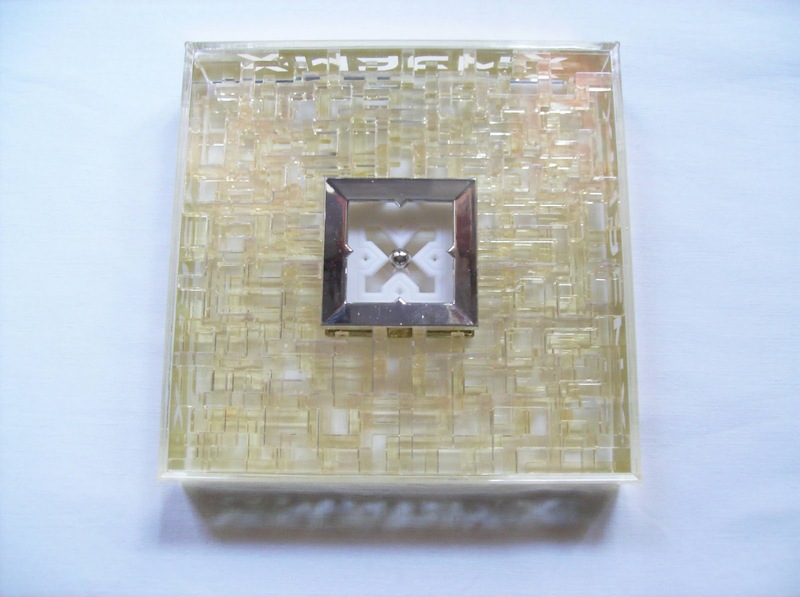 He is also the designer of the Cast Loop and Cast Square. 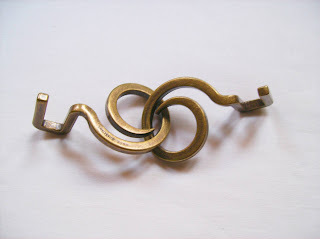 The puzzle consists of two identical pieces (hooks) that are entangled and you have to find out how to separate them. There's actually several Cast Puzzles that have this similar challenge. The Cast S&S and the Cast Baroq are just two examples of this, however they're harder to solve. The puzzle is rated at Hanayama's easiest level (1 of 6) and as expected it's quite easy to solve it (between 5 and 10 minutes). A great introduction for someone trying the Cast Puzzles for the first time. 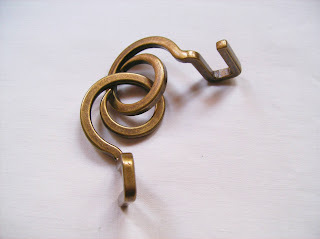 With just a little observation, you came to realize that the only way to separate the two hooks is by slowly rotate them, when joined at the thinner part of their spiral, from inside to outside. 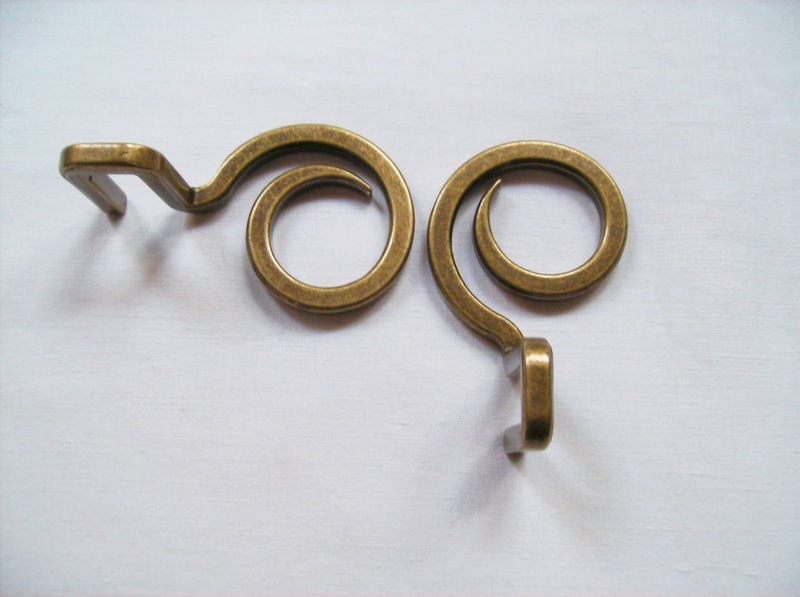 After you separate the spirals, you can now do the final step by twisting each hook in an opposite direction. Solution: It's a little hard to explain this process into words, but if you still have trouble to solve the puzzle, you can download the solution here, or watch a solution video here. I really liked the Cast Hook. It's not a tough challenge or anything of the sort, but that wasn't the designer's goal... 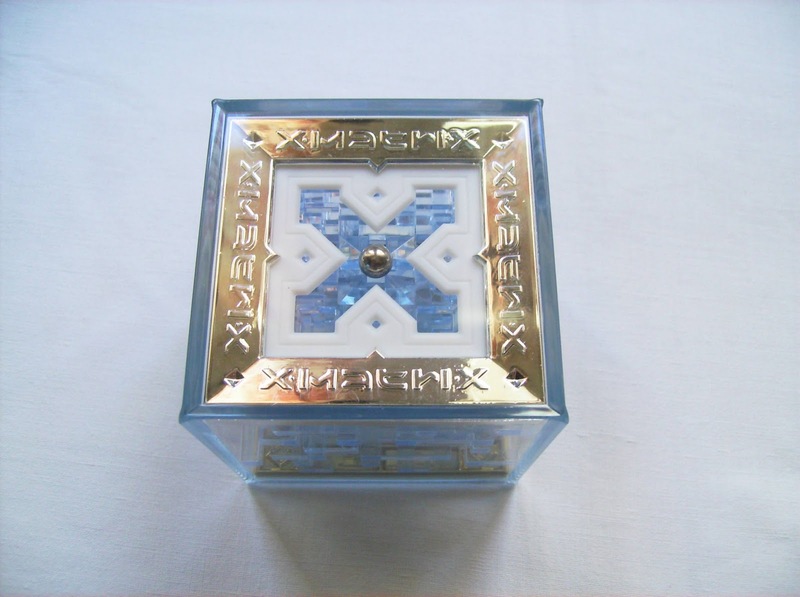 It fits perfectly on the line of Cast Puzzles and their Philosophy, which is to present you with a unique piece that can sometimes challenge the sharpest minds, but also can captivate anyone with its fantastic designs. The Cast Hook and other Cast Puzzles are available to purchase at PuzzleMaster. 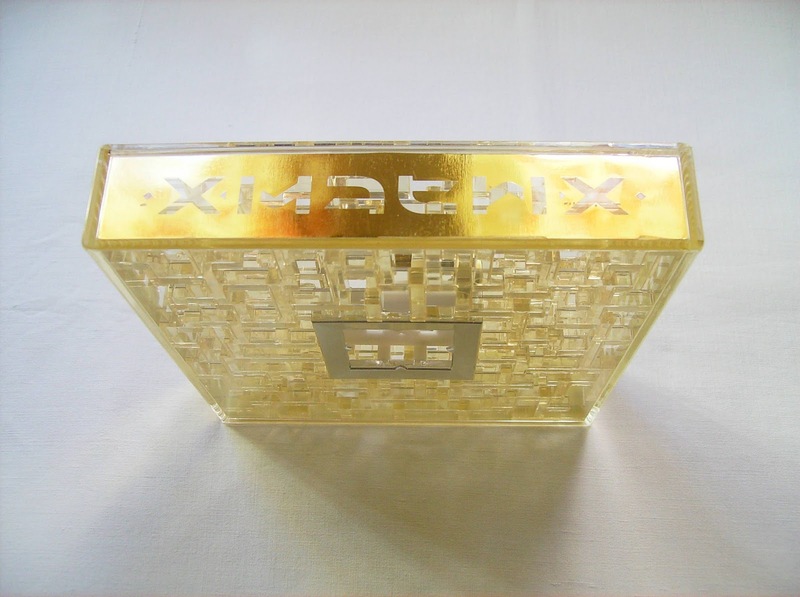 The Xmatrix are a new type of Dexterity 3D maze puzzles, invented by the designer Jeremy Goode and are available for purchase since November 2010. The Xmatrix Quadrus was entered at the 2010 30th IPP and the Xmatrix Qubus was later entered at the 2011 31st IPP Design Competitions. Right out of the box, I was very impressed by the Xmatrix design. 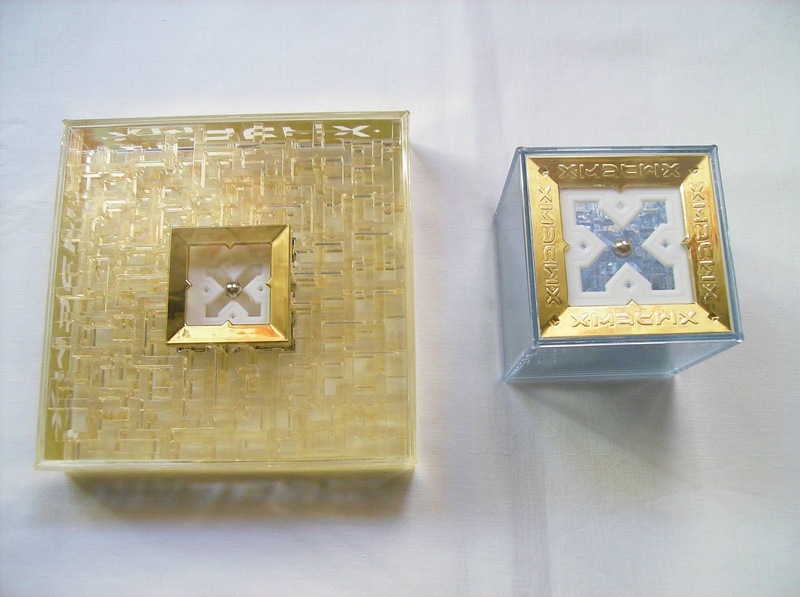 The golden and silver frames look extremely elegant and the mazes on both puzzles seem a little complex, especially the larger version. 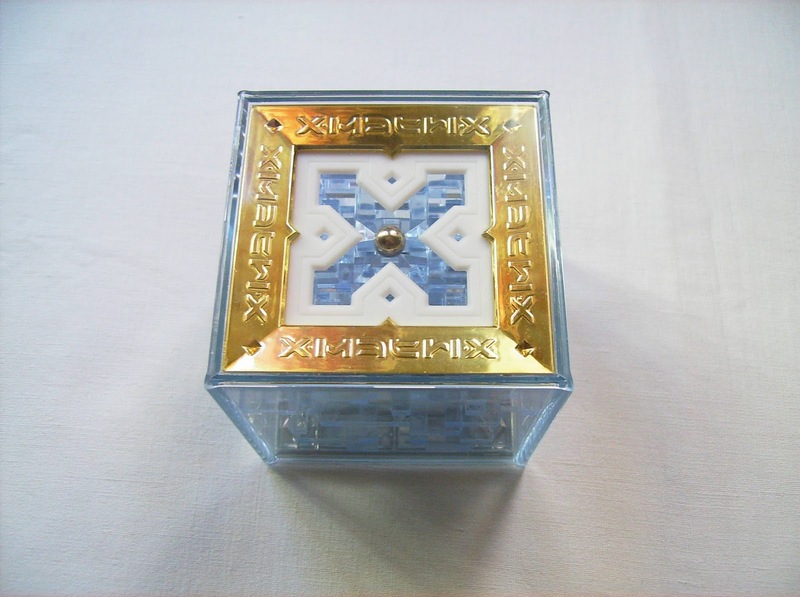 The packaging used is different for each version: on the Quadrus you're presented with a nice card drawer box that can be used for display purposes and on the Cubus, you have a gold plated clear plastic box, however it can brittle very easily due to the nature of the material and doesn't have much use after you open it. 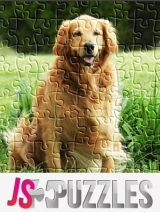 Other than that and besides looking very pleasing to the eye, both puzzles are of great quality and should withstand the more careless handling of the younger puzzlers. 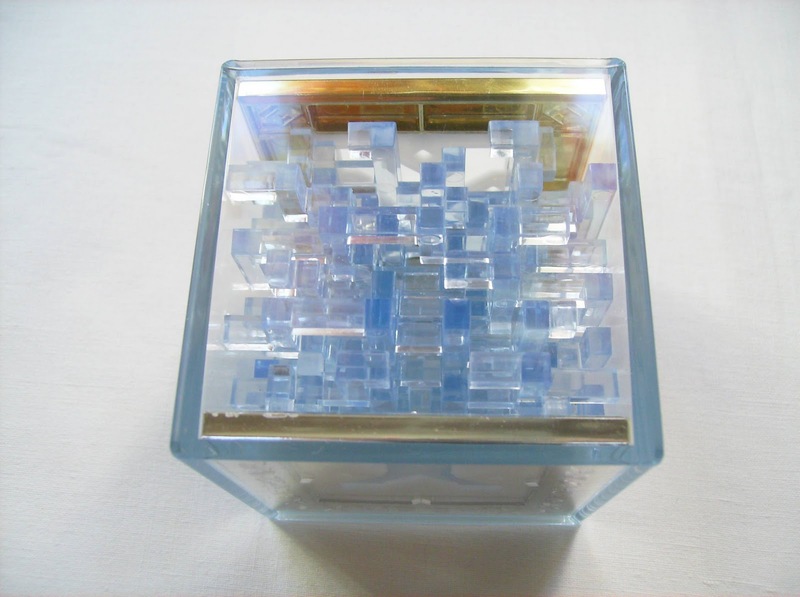 There are two different size versions, the Quadrus (large) and and the Cubus (small), with both having two color choices for the mazes (yellow and blue). If you can afford the two designs, I recommend the Quadrus in yellow and the Cubus in blue - For being larger, the Quadrus will look much nicer with a complete golden appearance and the Cubus, because it's smaller, will accentuate the contrast between the blue labyrinth walls and the golden and silver frames. Your task is to guide the ball from one side to the opposite one and return it to the starting point. 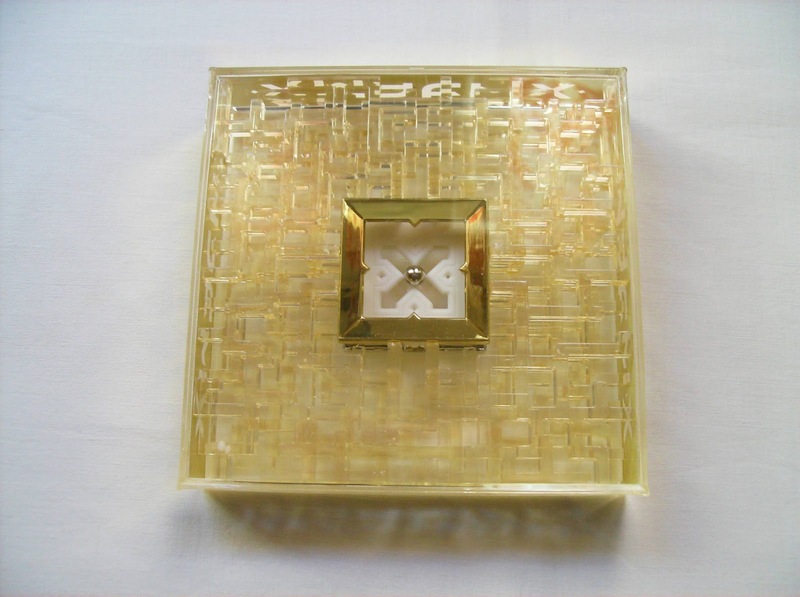 You'll usually start at the golden frame and only one of the four openings is large enough to let the ball pass through - This is also true for the silver frame, where you have just one way in, which proves that there's only one correct path. The Quadrus is supposed to be slightly harder than the Cubus, but to put it mildly, slightly is an understatement... It's frustratingly tougher and you're gonna have much more trouble to complete it, not just because it's bigger, but also for having a lot of dead-ends. I found myself walking around in circles on several occasions, without finding the right path to the middle of the opposite frame. The Cubus, on the other hand, is a joy to play. The overall size of the maze is much smaller, which ultimately will facilitate the memorization of the labyrinth for faster solving times. If you get easily frustrated by a hard puzzle, then I recommend starting off with the Cubus to get used to the nature of the puzzle. 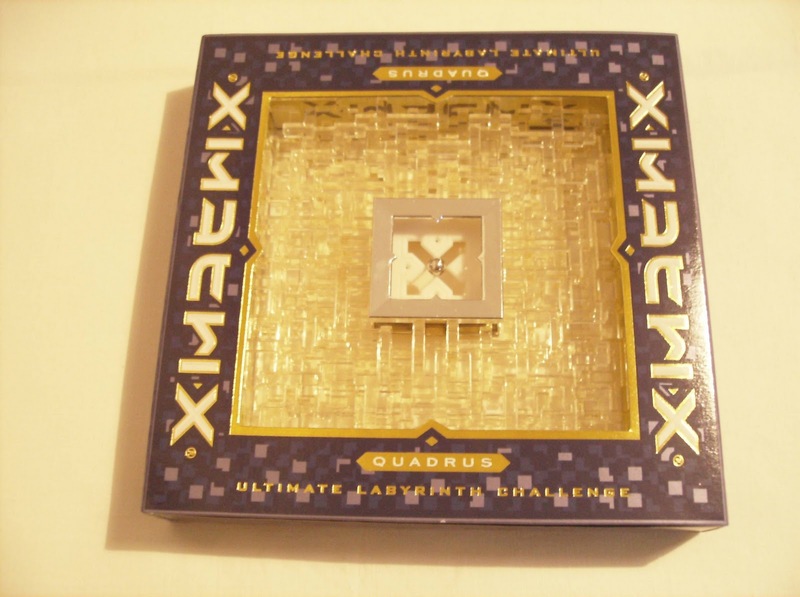 However, if you like a real challenge, then you won't be disappointed by the Quadrus. Both puzzles are classified, in terms of completion time, as "Genius! ", "Bravo" and "Well done", with 4, 10 and 20 minutes respectively for the Cubus and 5, 15 and 30 minutes for the Quadrus. ...Well, I'm not a "Genius" with the smaller puzzle, as my first completion time was around 10 minutes for both journeys and I didn't count the time for the larger one, but it was way more than the 30 minutes... The trick is, if you're stuck on the big maze without any real progress, just put it down for an hour or so, and you're gonna return with a fresher mind for another session. As I said in previous reviews, presentation is everything when you launch a new product in the market. The Xmatrix puzzles do this in great style, as the overall visual appearance is very attractive in both puzzles, capturing your attention right away. The designer didn't leave anything to chance and you can witness this even in the logo, where an Ambigram is cleverly used to read Xmatrix from both sides. After almost two and a half years of collecting, I have acquired a lot of different Dexterity puzzles, but none of them can be compared and don't come close to the Xmatrix puzzles. Not only do they look good, but the level of complexity put into them is astonishing. As I first looked into them, they seemed pretty hard and after I played with them for several hours, I can say that each of them provide a very satisfying level of challenge for everyone. Like everything, practice makes perfect and if you play with the Xmatrix long enough, perhaps you'll be able to aim for that "Genius" score. 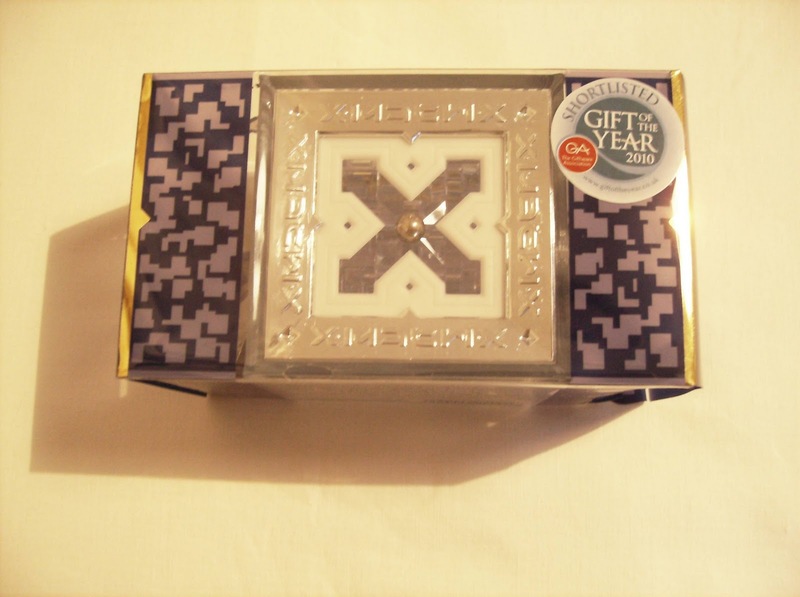 You can buy the Xmatrix Puzzles on the official website.